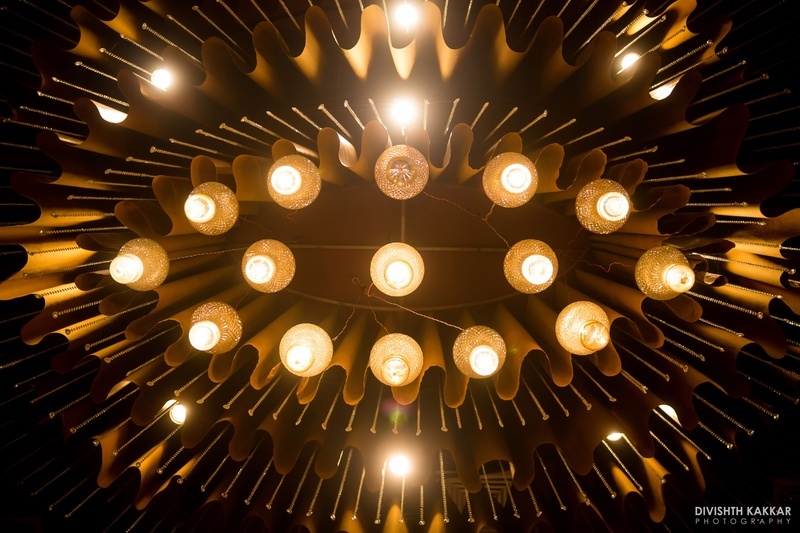 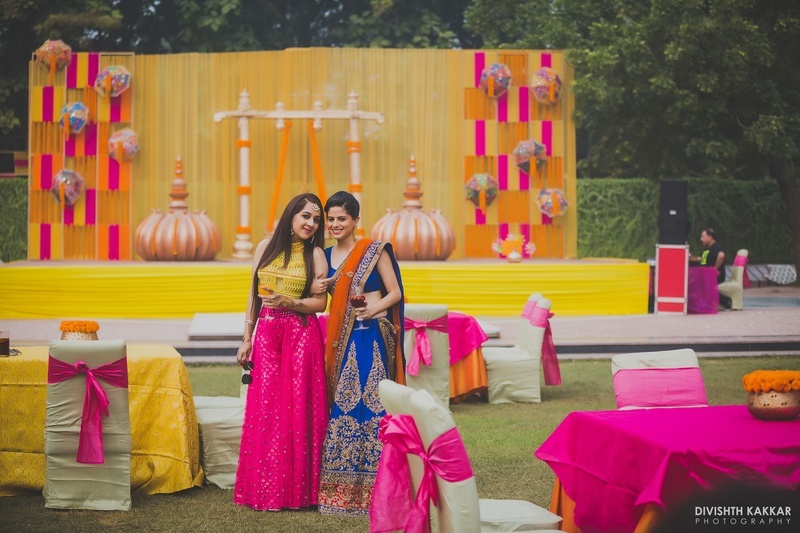 An amalgamation of love-filled moments, a golden ambience and colourful high notes. 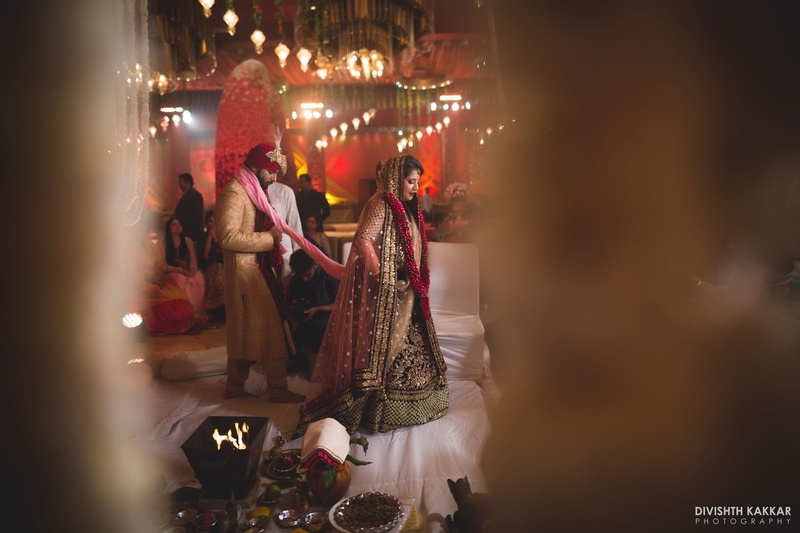 A wedding that will remain in our hearts forever! 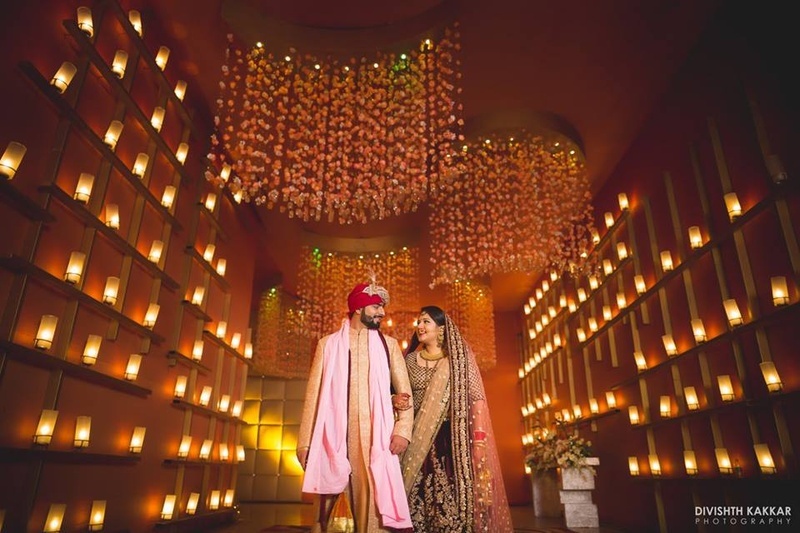 Presenting you the beauty of colour co-ordination and warmth of love-marriages! 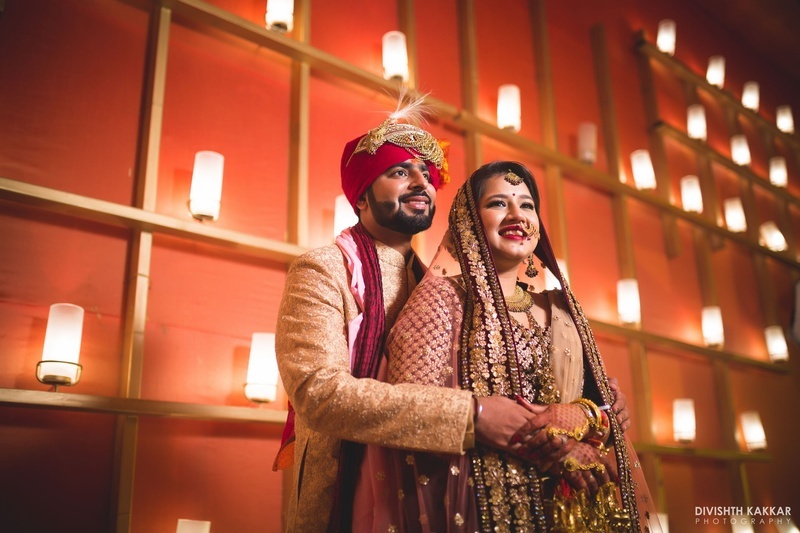 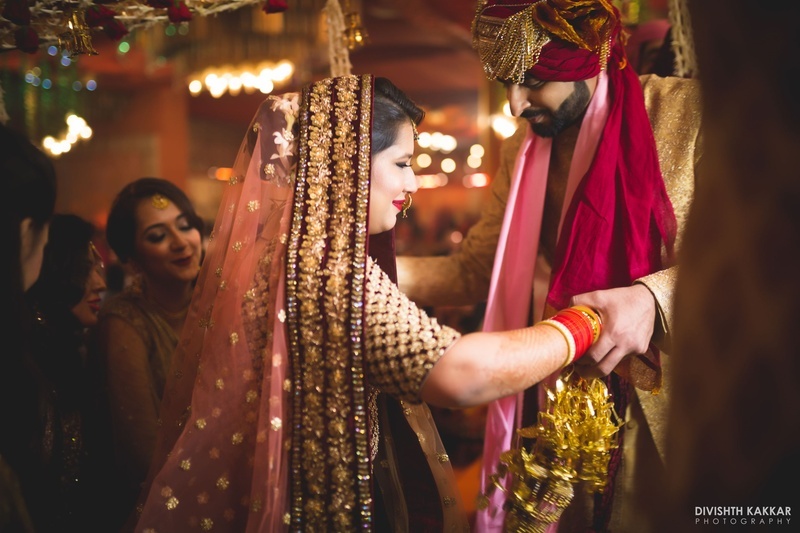 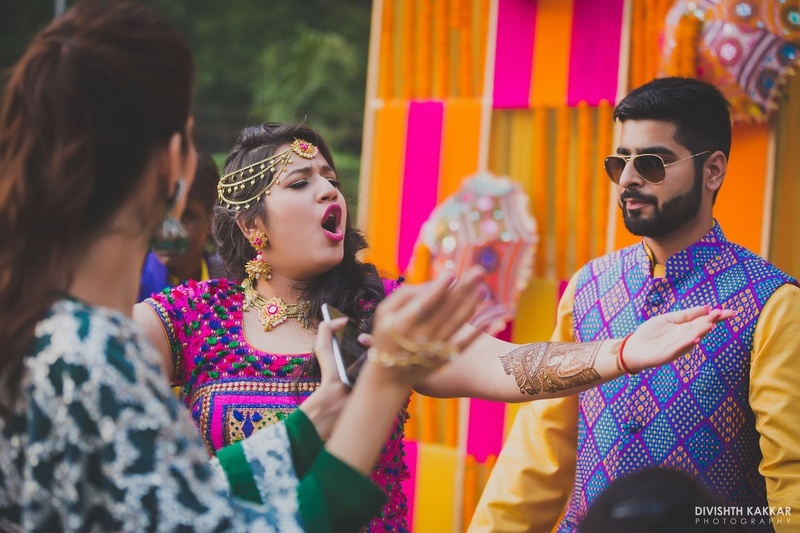 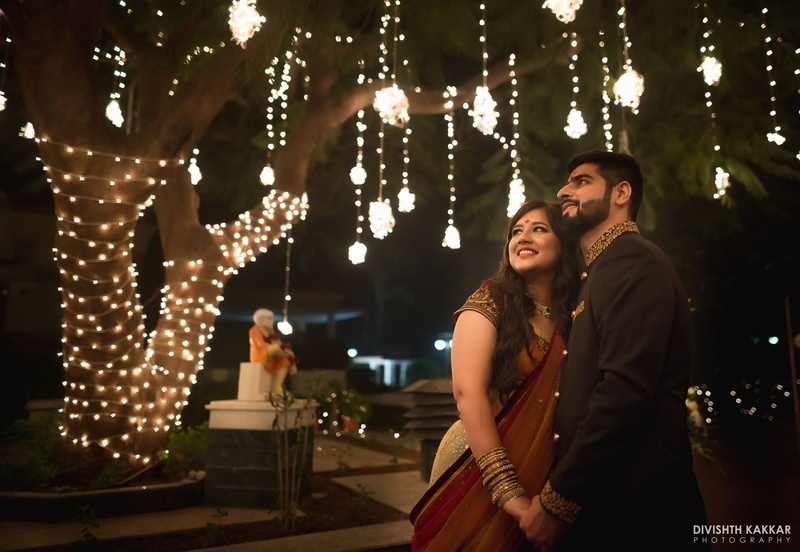 Ankur and Niharika met through a common friend and like every perfect lovestory, they shared beautiful times with a bit of adventure and crazy days together! 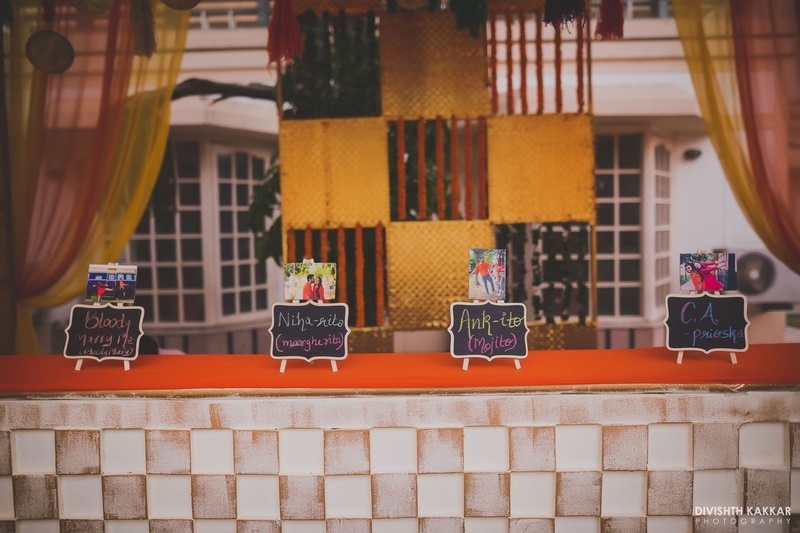 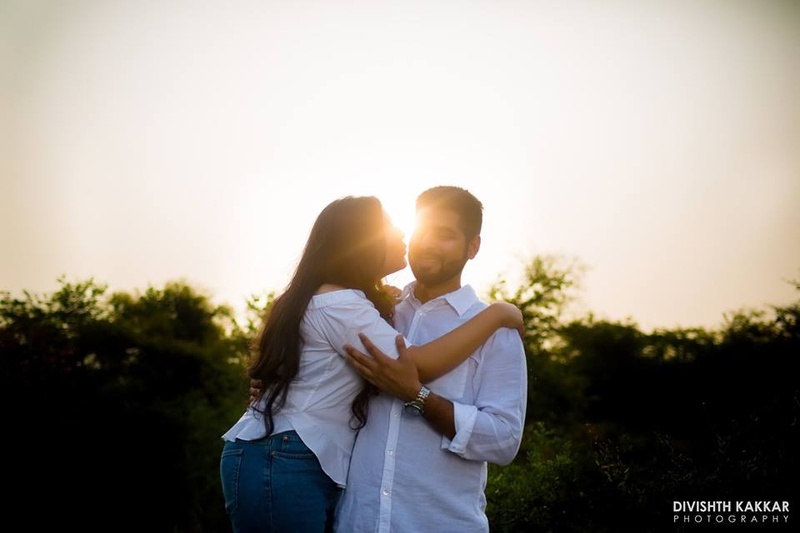 We loved the airy, cheerful theme of their pre-wedding shoot in Aravali hills. 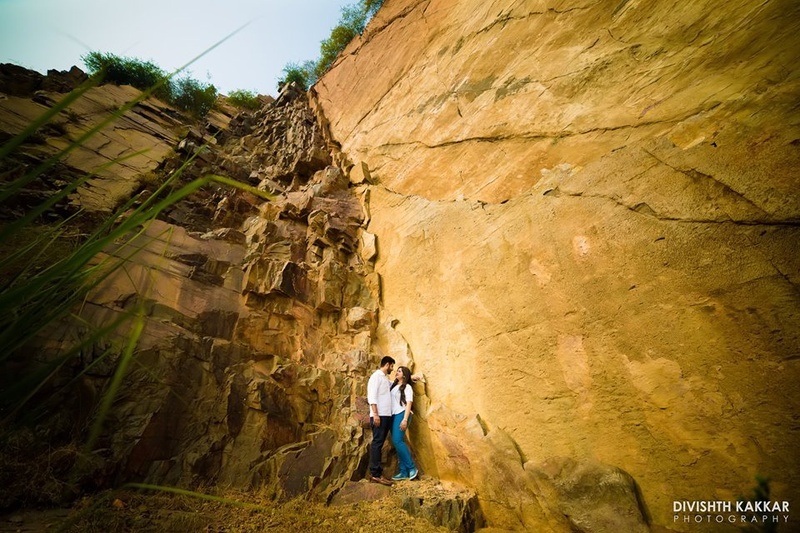 Photographer Divishth Kakkar managed to artfully capture a unique angle to each shot which was a task in itself among an expanse of similar-looking hills. 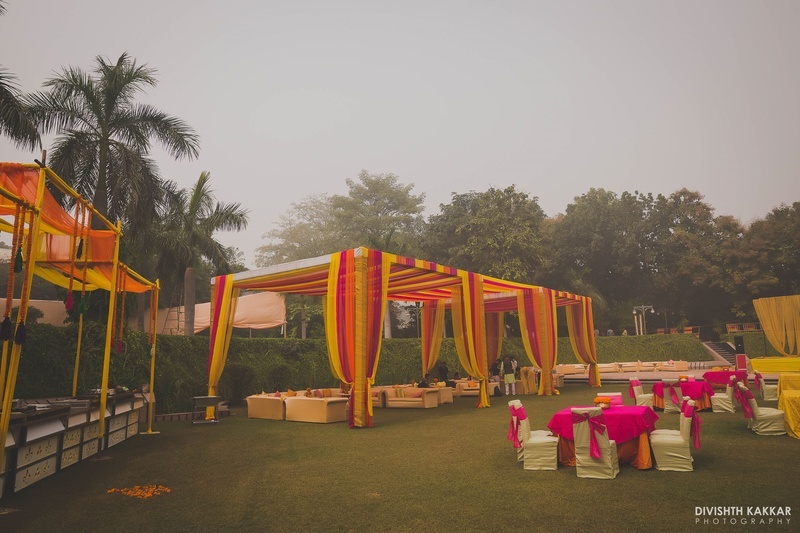 The wedding that took place in Kundan Farms, Delhi was an amalgamation of love-filled moments, a golden ambience and colourful high notes. 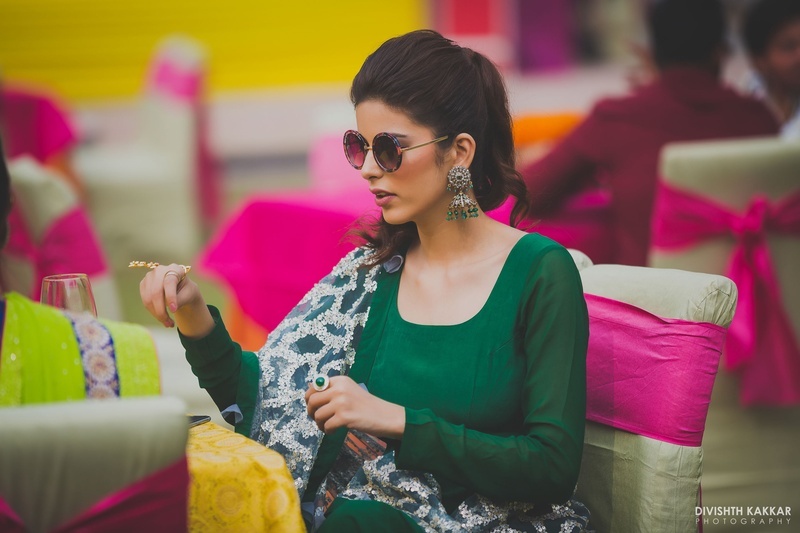 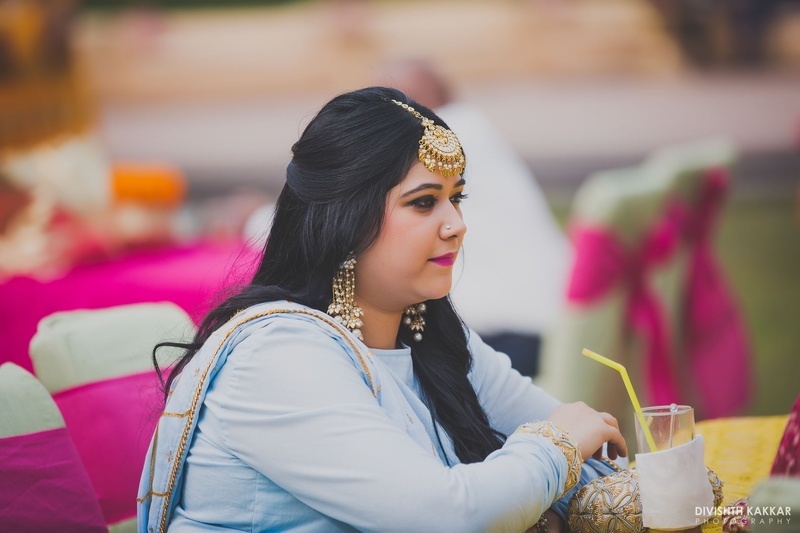 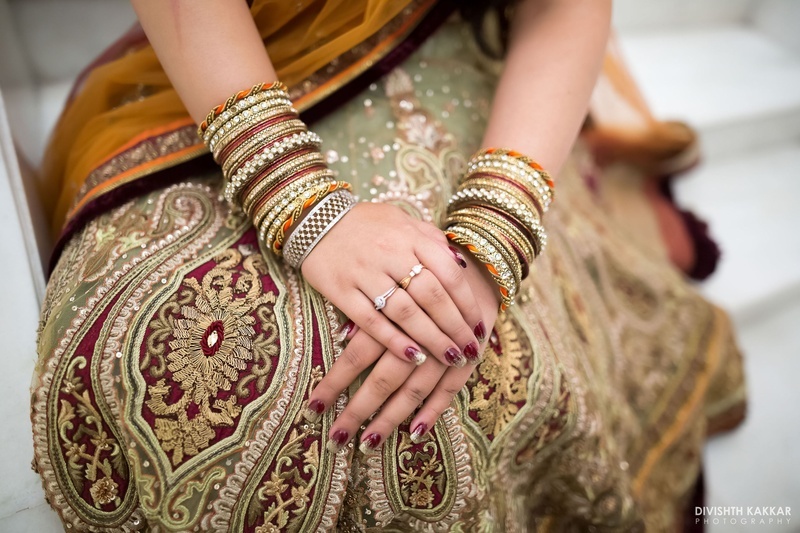 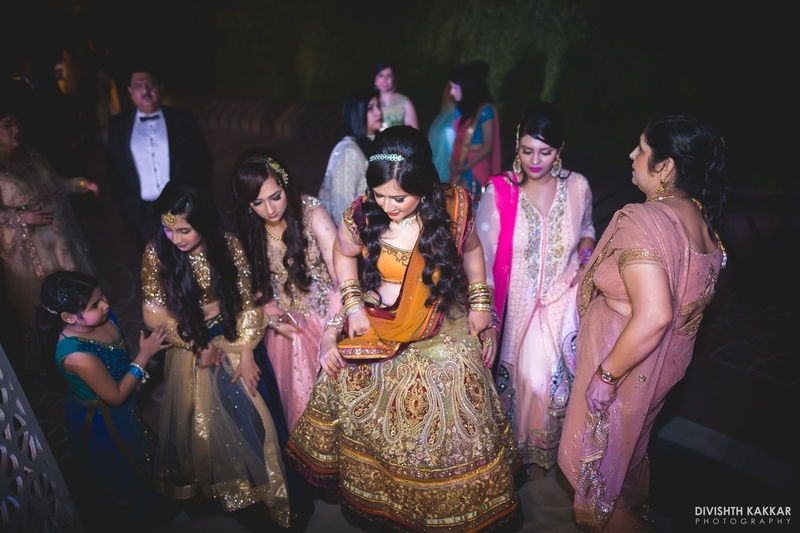 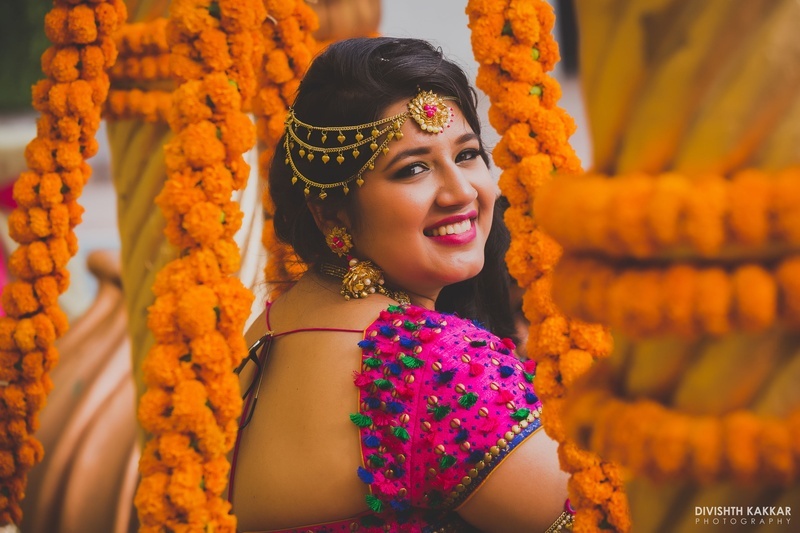 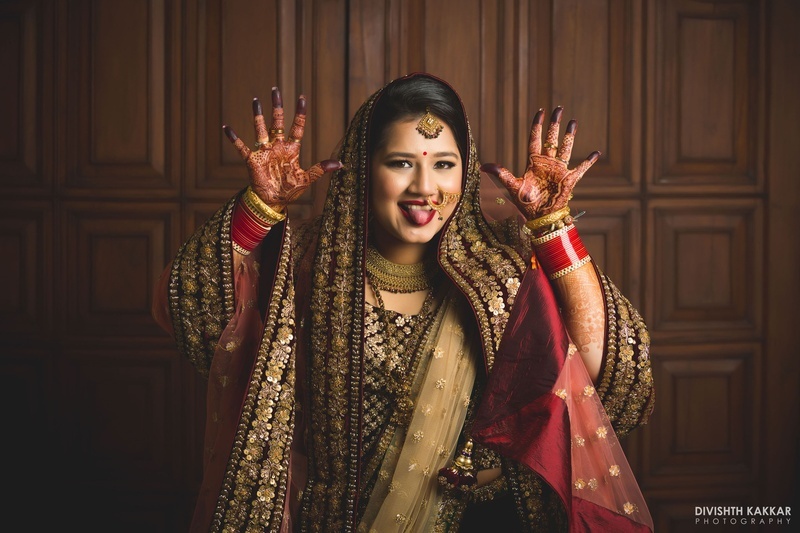 What to look out for: The vibrant and fun mehndi decor, all the bridesmaids stunning outfits and of course, our adorable bride! 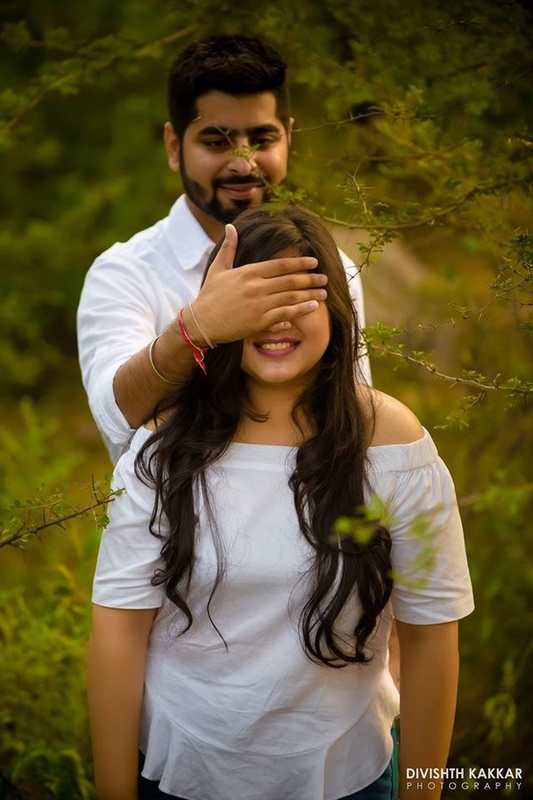 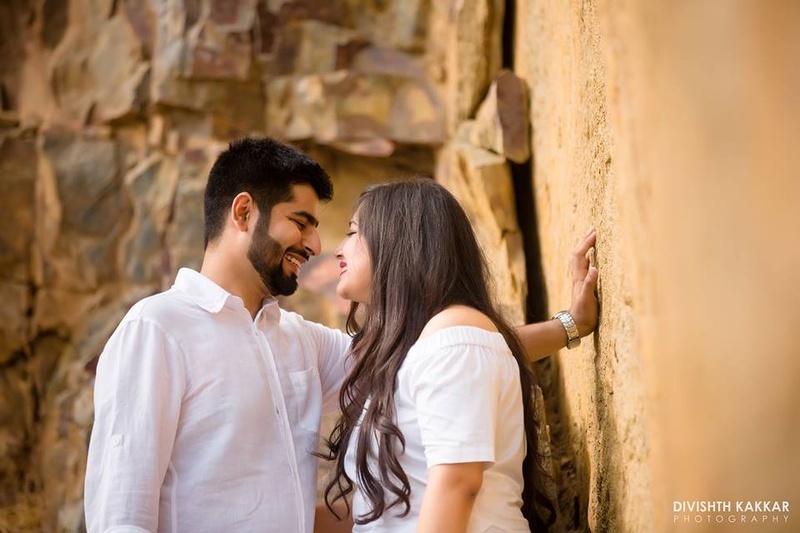 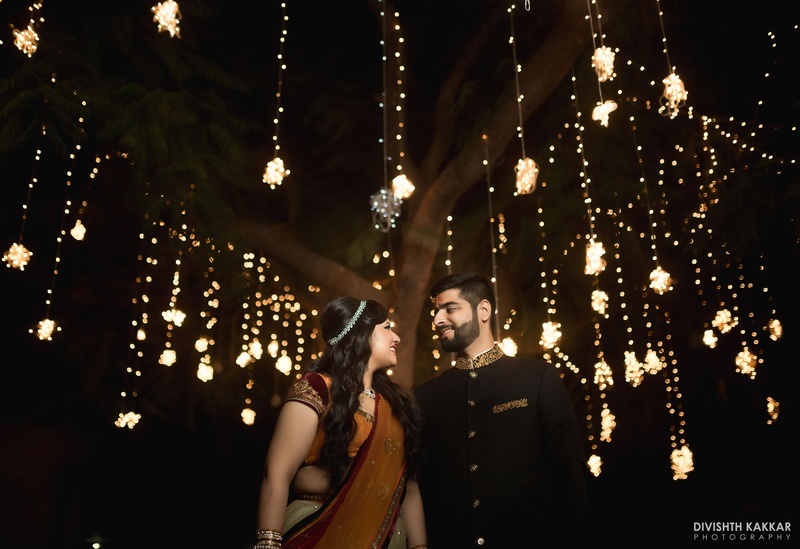 Ankur and Niharika's pre wedding shoot held at Aravali Hills! 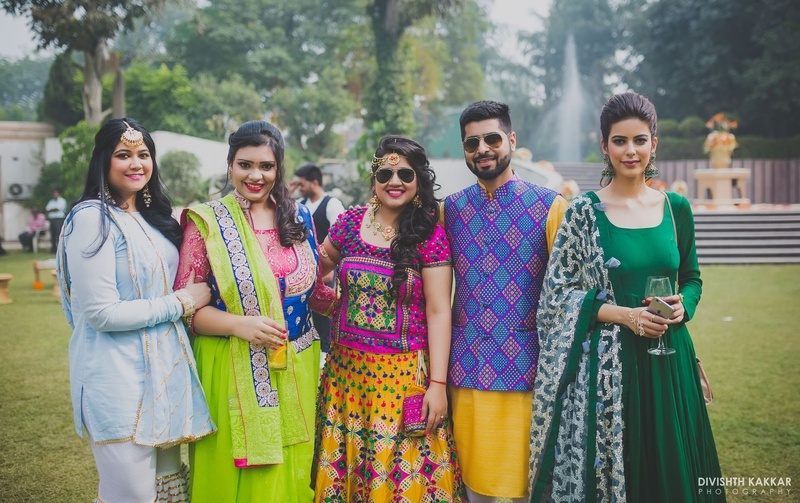 Wearing colour coordinated outfits for the pre wedding shoot. 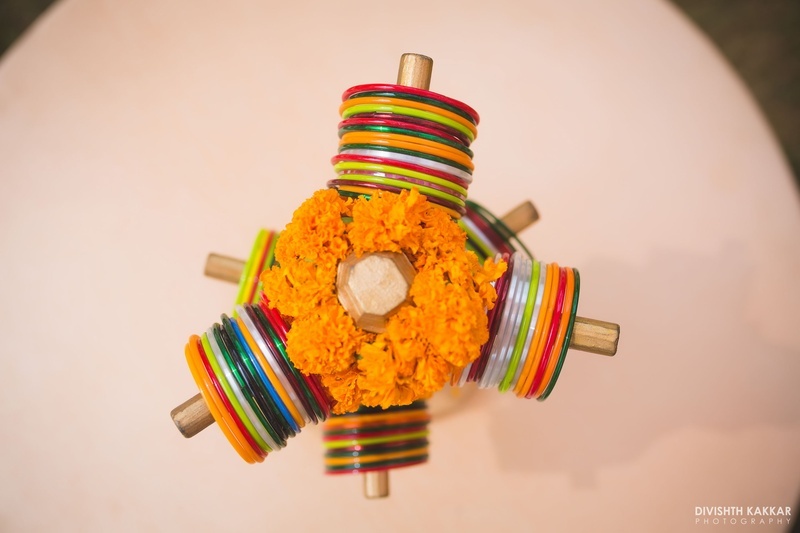 Bangle stand as a table setting for the mehendi cermeony. 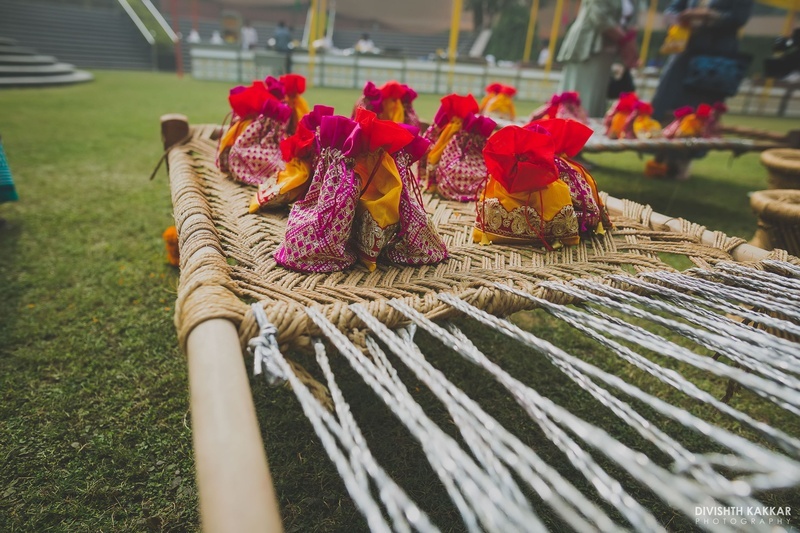 Potli favors for the mehendi ceremony. 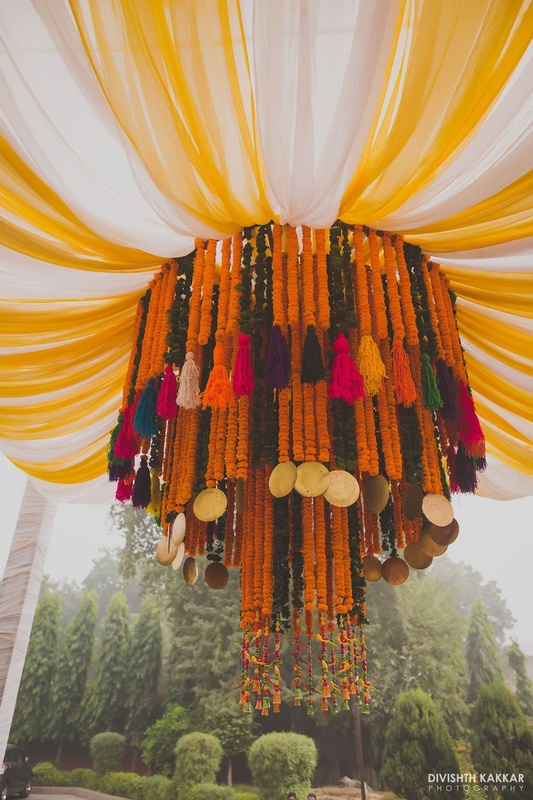 Colorful hanging decor for the mehendi ceremony. 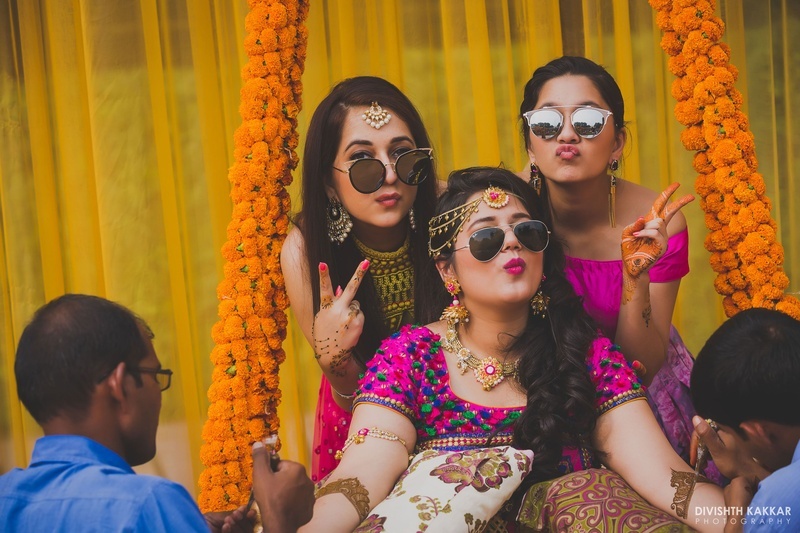 Pretty bridesmaids at the mehendi ceremony. 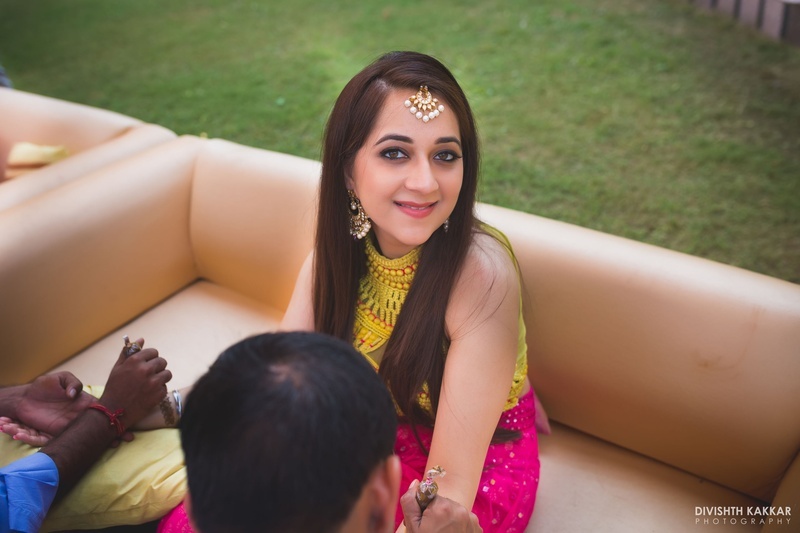 Bride's sister dressed up in a pretty off shoulder pink blouse paired with pink and purple floral skirt for the mehendi cermeony. 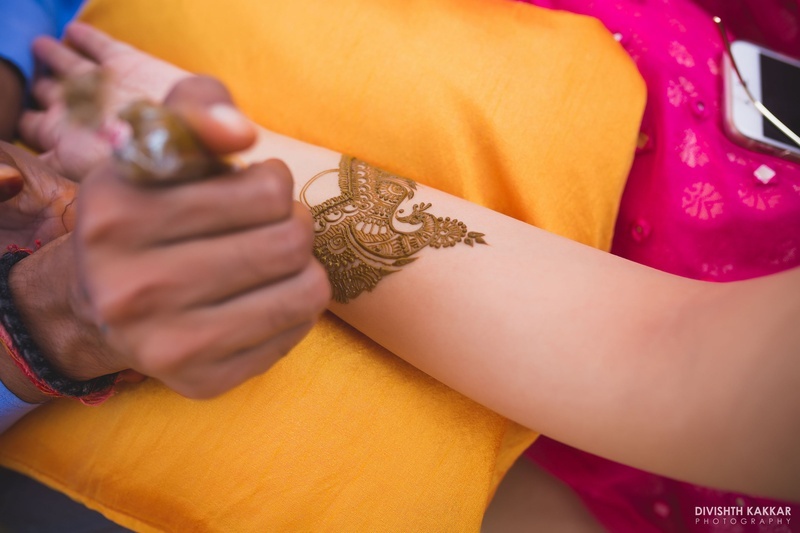 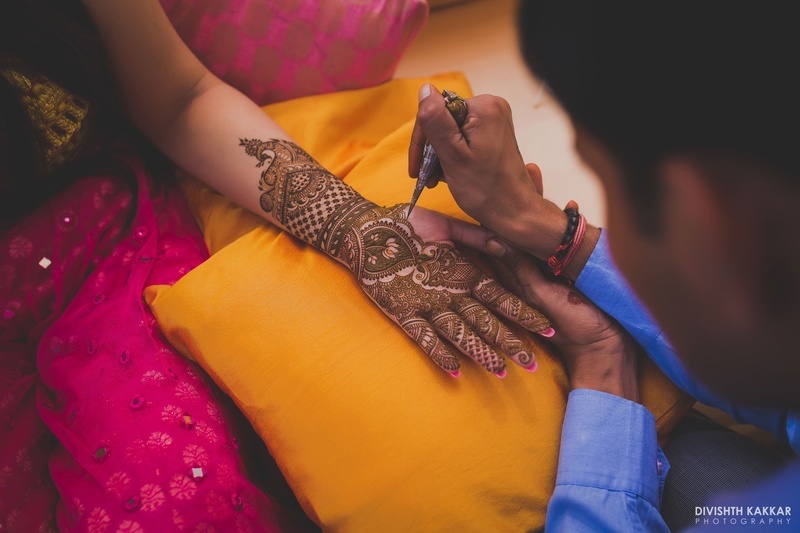 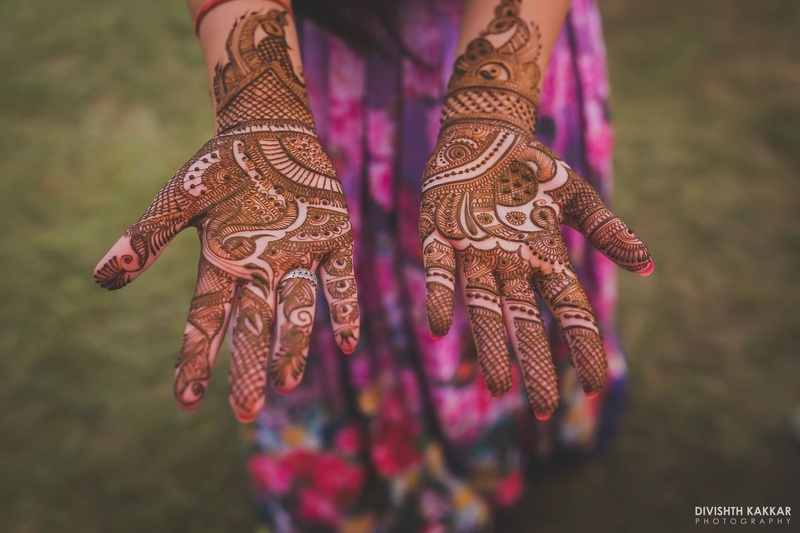 Hands filled with intricate mehendi. 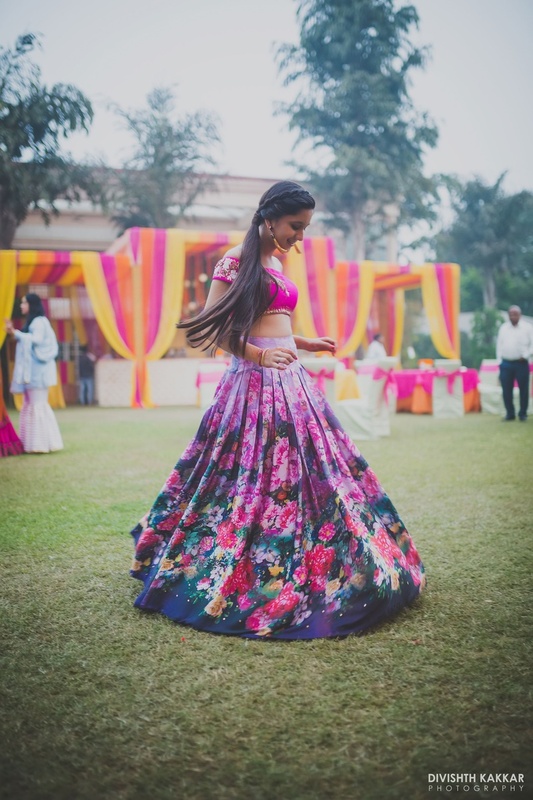 Adorned in beautiful multi stringed floral matha patti ! 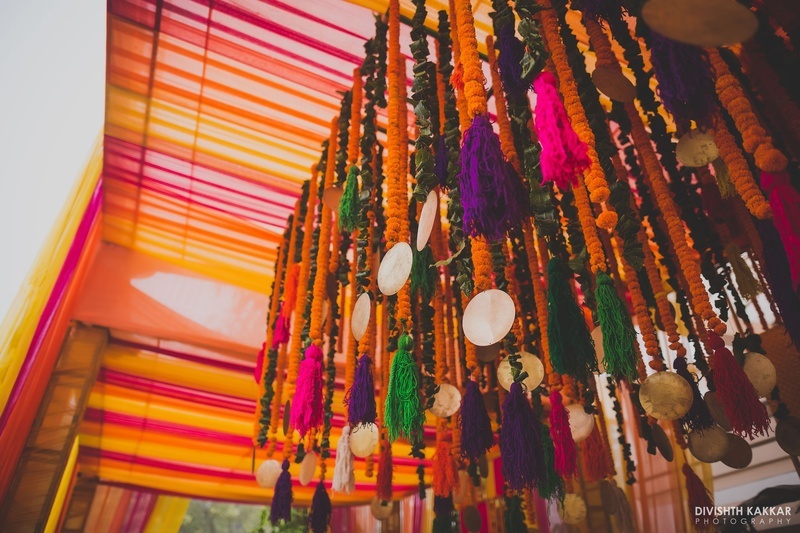 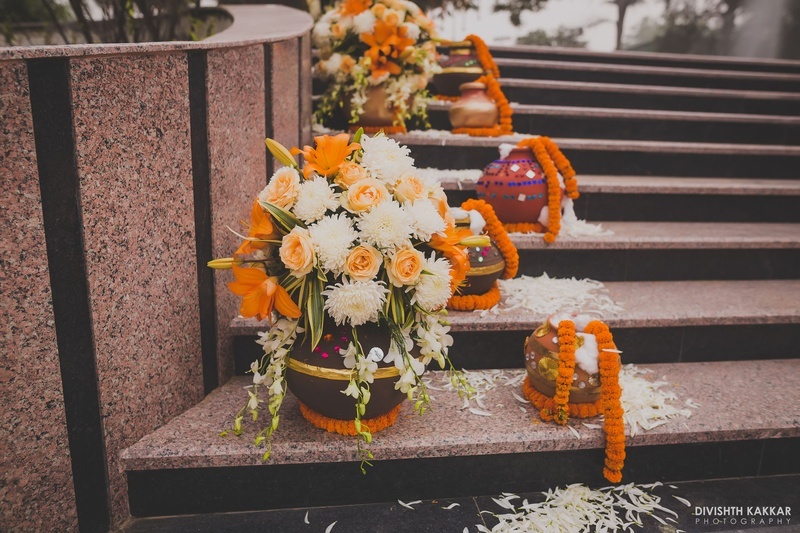 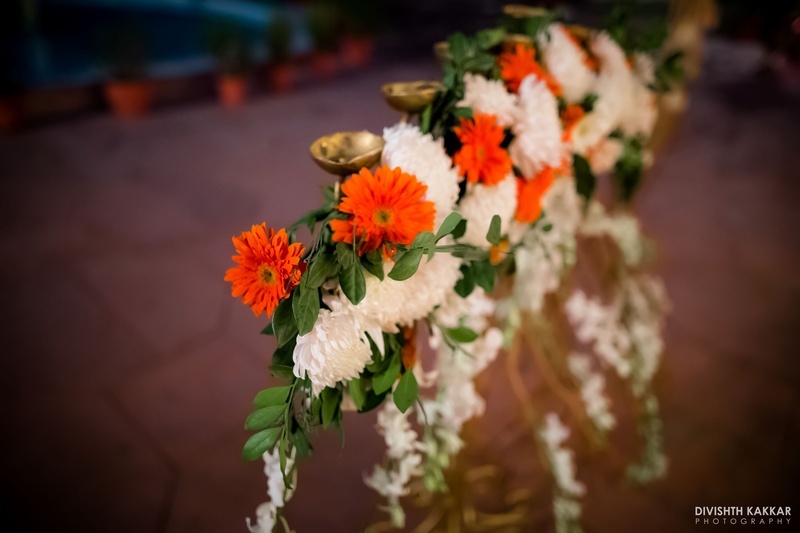 Colorful genda phool hanging decor at the mehendi ceremony. 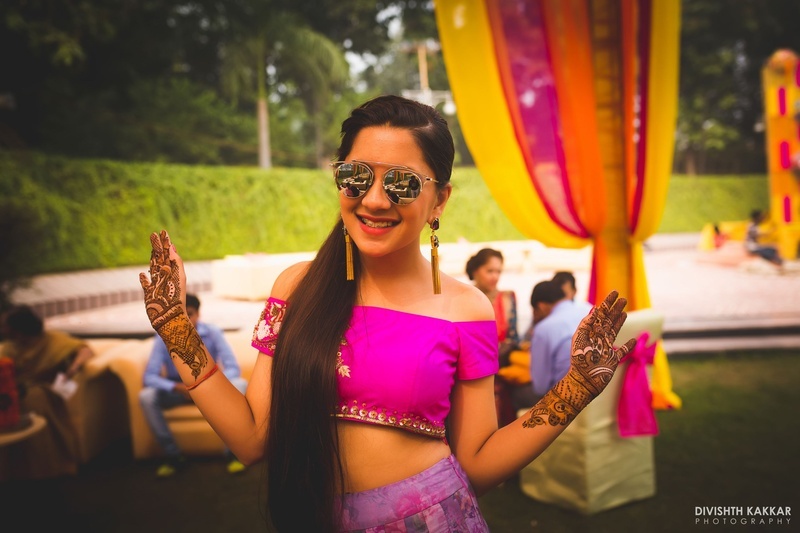 Niharika's entry for the sangeet ceremony. 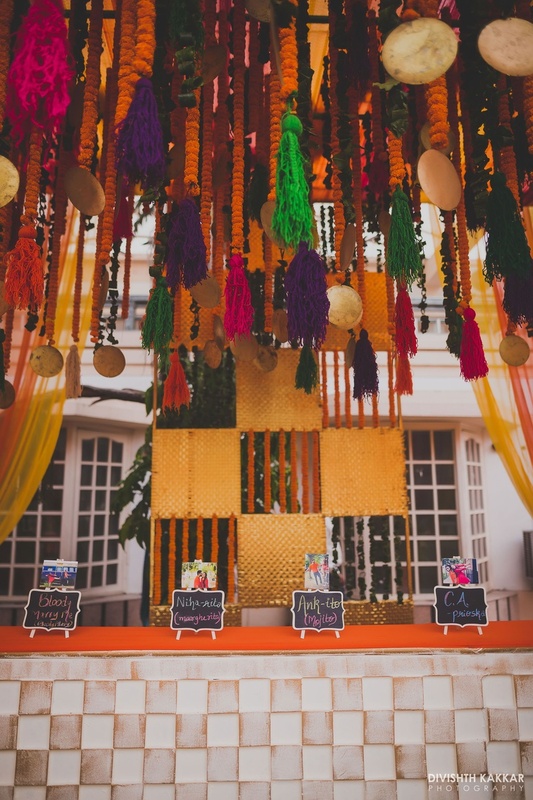 Pretty fairy light decor at the sangeet ceremony. 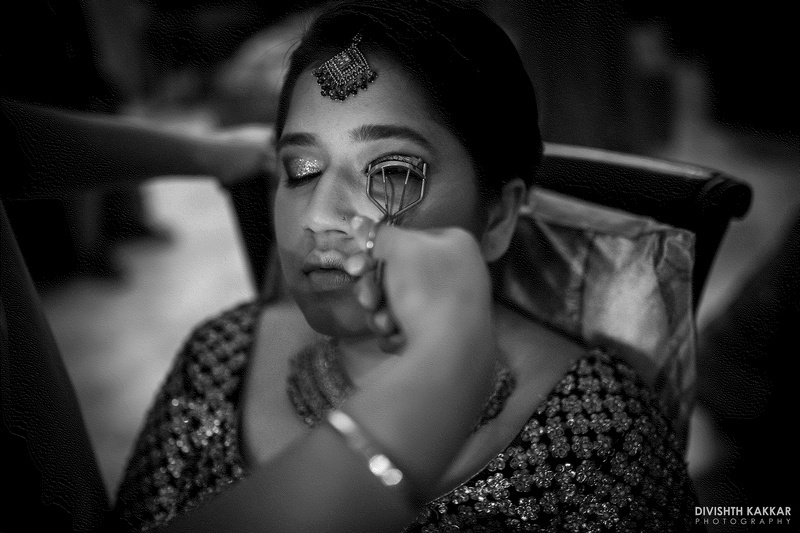 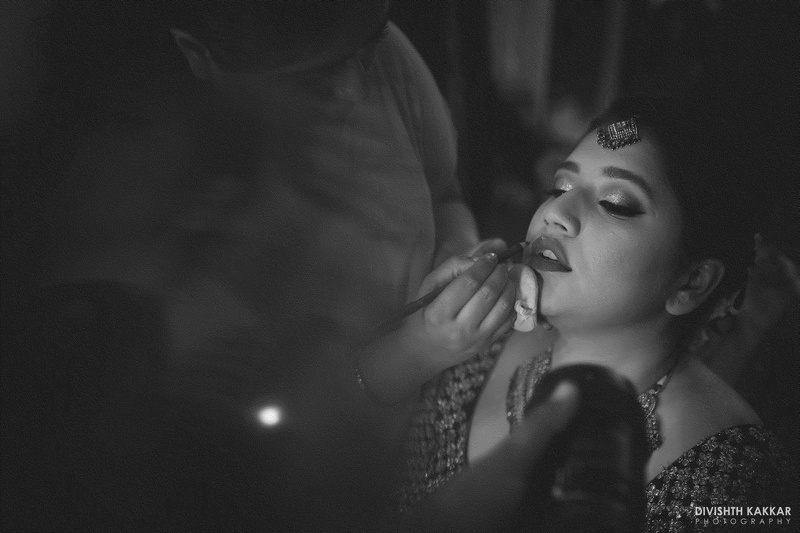 Black and White picture of bride getting ready by Divishth Kakkar. 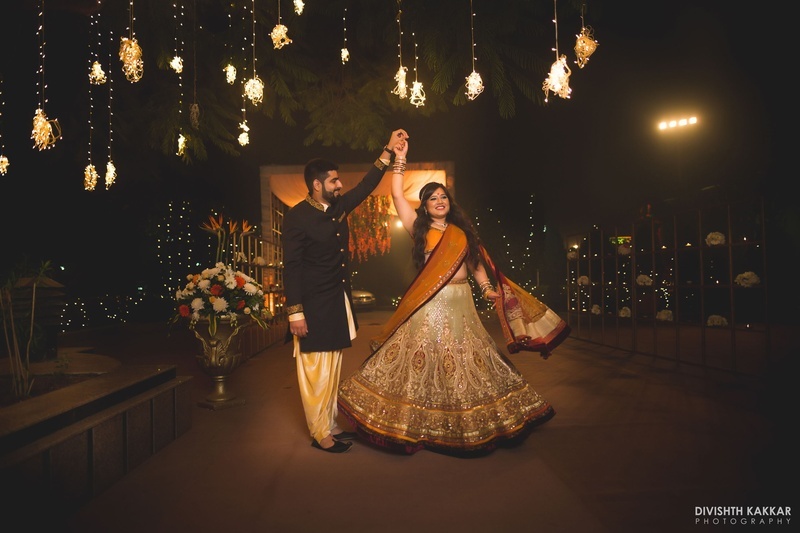 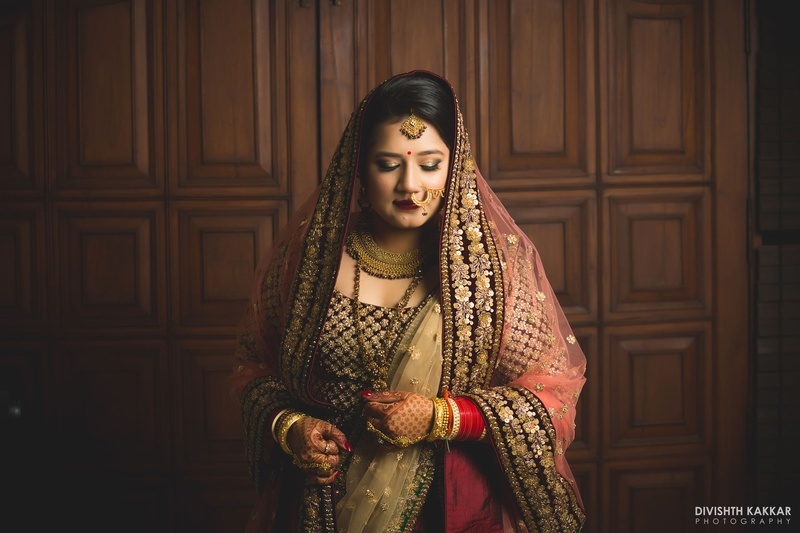 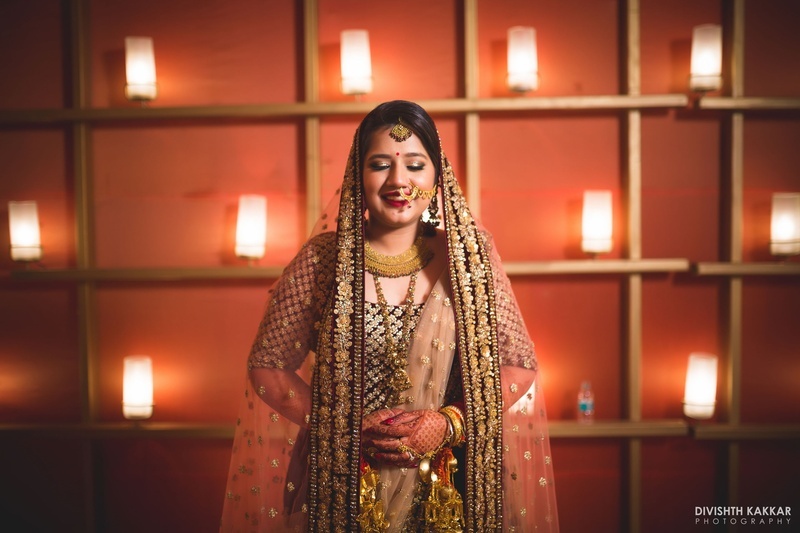 Dressed up in a gold, maroon and pink bridal lehenga by Sabyasachi. 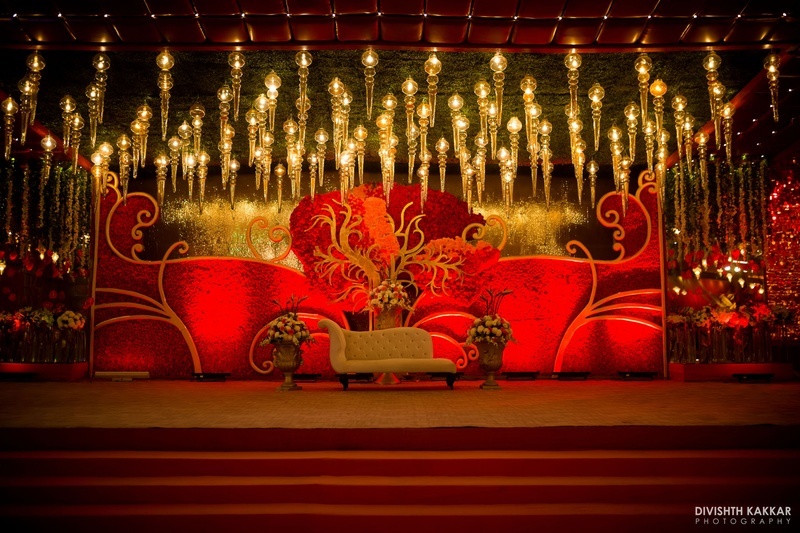 Vibrant royal stage decor for the wedding ceremony. 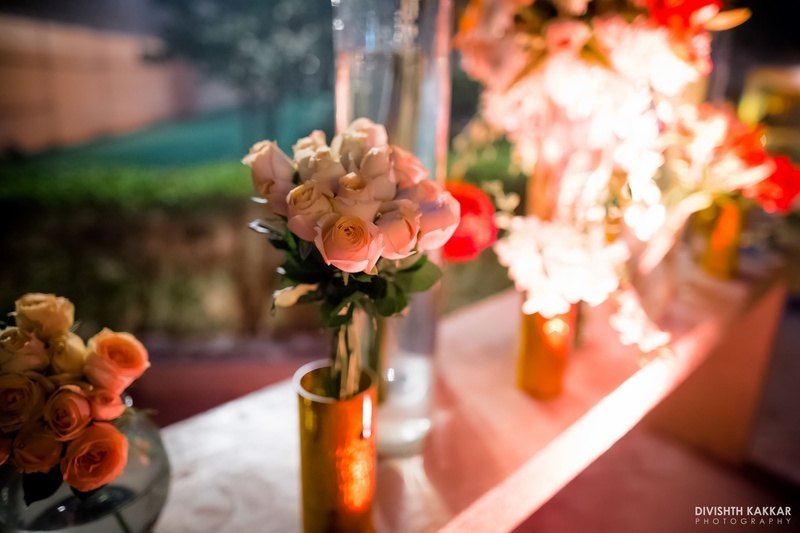 Beautiful candle light decor at the entrance of the wedding venue.